When you are in Bali, especially for long term stay, for example more than 1 week, maybe you want to have some shopping so that your daily needs regarding some ‘simple’ needs, such as drinking water, snacks, candy, cigarette, or etc. can be supplied. By shopping in a supermarket instead of your hotel environment, the price usually cheaper. In order to do this, you need a supermarket to buy all those thing. In Bali, there are many supermarket to choose. For the overseas tourist, Carrefour could be the first supermarket they choose. The biggest Carrefour supermarket in Bali is strategically located at the Sunset Road, the circle road connected between Kuta, Denpasar and Nusa Dua, or Tanjung Benoa. We have been seeing so many tourist from overseas shopping in this supermarket. Another supermarket is Giant. Giant supermarket also strategically located in Mall Bali Galleria at Sunset Road, take only about 1 kilometer from the Carrefour supermarket. You will find it also for another big supermarket called Hypermart, just near Sunset Road area. If you want to have the experiences about shopping in local atmosphere, especially for the clothes, try Matahari Department Store. This original local brand is the leading in apparel needs in Indonesia. You should try this place. 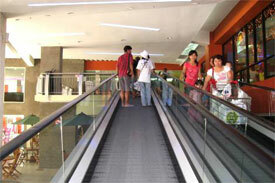 The department store can be found also inside Mall Bali Galleria. Or, if you have a chance to go to Denpasar, the capital city of Bali, you will find another Matahari Department Store. Despite the visitors of this store is mostly local Denpasar citizen, but some of the overseas tourist is mostly also as as shopper there. In Seminyak area, probably you will familiar with another local supermarket called Bintang Supermarket. This is not a giant supermarket like Carrefour, Giant or Hypermarket, but, this middle end of supermarket has becoming so popular among the overseas. Or, Pepito in Tuban area, close to the airport. This is also so popular for the tourist from overseas. Posted in: Shopping in Bali.